Do you know when you pick up a book and you just know.....? You just know that it will be one of those books that keeps you up late and makes dinner and the washing nigh on impossible to do!!!!! 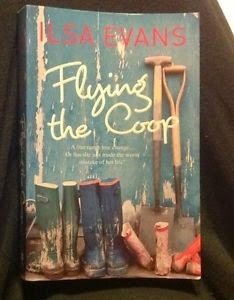 I picked up Ilsa Evans' book 'Flying the Coop' this morning at the library and although I only managed to read about 20 pgs while waiting for my daughters school choir to perform, I knew! I did not wish to appear rude so put it away at the start of the performances but I could hear it in my handbag calling to me! Tragic I know. I read a lot and I enjoy a wide variety of books but it is not often that I read one I simply CAN'T put down. I have read Ilsa Evans' other books and I always forget how much I enjoy her stories between readings. 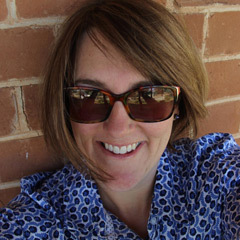 Her characters are real and her sense of humour, particularly around family life is superb. I also like that they are set in Australia and therefore all the more real for me. Enough waffling on...I have books things to do. P.S. What makes you pick up a book? The cover of this one did it for me!!! Books are one of my favourite things. I am just like you, once I pick one up and I am absorbed thats it. Last week I vacuumed one handed with the book in the other hand. Just couldn't put it down. THANK YOU for following my blog and welcome. I am so proud to have a new person on my list and hope what I write keeps appealing to you. Have enjoyed looking at yours - makes me a bit homesick! After years away, nothing beats Australia. oooh, I'm always trying to find books to read on my Kindle...shopping on Amazon for eBooks just isn't the same as visiting a bookstore/library. I'm going to add this to my wish list.